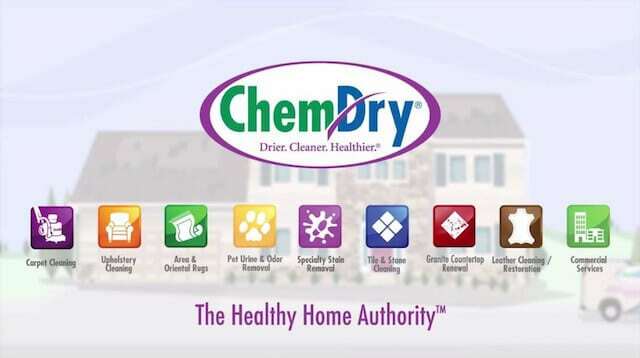 Professional carpet cleaning from Chem-Dry features all-natural solutions and first-class service. 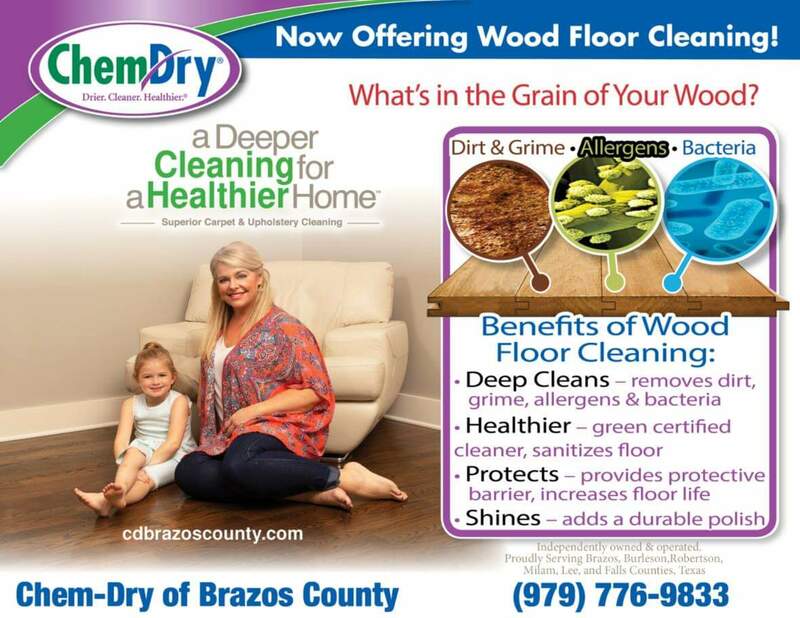 Expert upholstery cleaning from Chem-Dry of Brazos County eliminates allergens and dirt from furniture. Chem-Dry of Brazos County rug cleaning removes dirt and restores the color and quality of area rugs. Tile, grout and stone cleaning from Chem-Dry revitalizes the shine of your hard-surface flooring. Chem-Dry of Brozos County commercial carpet cleaning creates a healthier environment for your business. 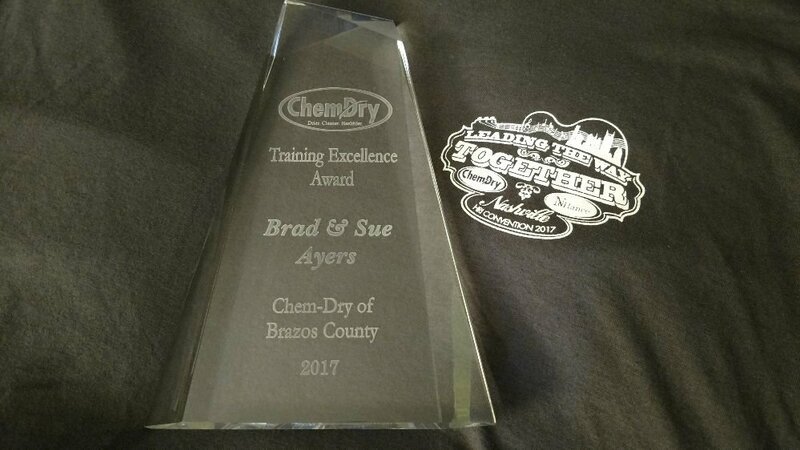 Chem-Dry of Brazos County stain removal techniques don’t require chemicals or abrasive scrubbing. 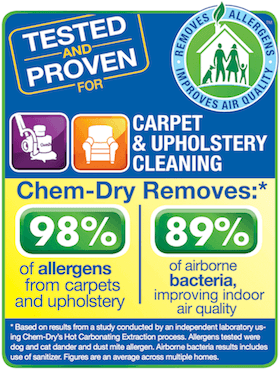 P.U.R.T.® (pet urine removal treatment) from Chem-Dry fights harmful pet urine odors in carpet. Gentle but powerful polishing and refinishing service restores the shine of stone floors and surfaces.